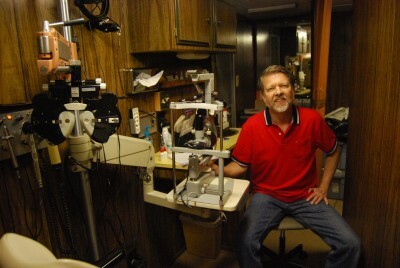 Dr. Richard Lewis of the Fishkind, Bakewell & Maltzman Eye Care and Surgery Center in Tucson. 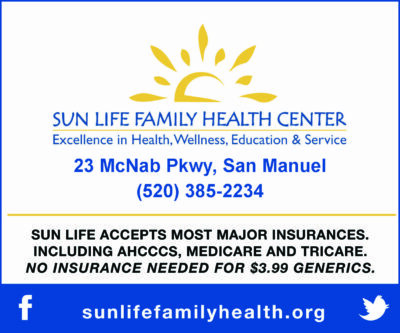 Oracle – The Arizona Medical Eye Unit from the Lions Vision Center, Inc. will be giving Ophthalmological Medical Eye Examinations in Oracle at the Sun Life Medical building on American Ave. on March 23. The requested donation per patient is $40. Call 520-896-9657 for an appointment. Sponsors in Oracle are Circle of Friends. The Arizona Ophthalmological Society provided the funding for the 2012 Ford F-350 truck. The Arizona Medical Eye Unit is sponsored by the Arizona Ophthalmological Society. Arizona Ophthalmologists in private practice volunteer their time on the “Unit” and receive no remuneration. Dr. Bakewell will be giving the exams for this visit.